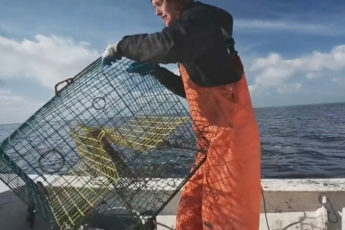 This week 76 commercial watermen are expected to go to work hauling in lost and derelict crab pots in sounds along the state’s coast as part of the Lost Fishing Gear Recovery Project. In its fifth year, the project is a partnership between the North Carolina Coastal Federation and the North Carolina Marine Patrol. The General Assembly appropriated $100,000 for this project with additional funding coming from the National Oceanic and Atmospheric Administration Marine Debris Program, which is being used to support shoreline cleanups and other activities related to this project. 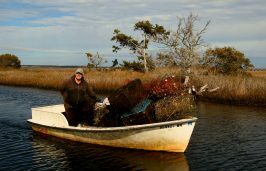 The federation received funding from NOAA from 2014-2016 to hire commercial watermen to recover lost crab pots from northeastern North Carolina coastal waters during the no-potting period, when all crab pots must be out of the water due to fishing regulations, according to a release from the federation. Pots typically become lost due to large weather events. Lost pots can get hung up in man-made structures such as bridges, or they can drift into channels over time, increasing the likelihood of buoy detachment by vessel traffic. The project was able to expand statewide in January 2017 to all three Marine Patrol districts because of ongoing funding from the General Assembly. During the 2017 project, a total of 4,304 pots were removed by 72 watermen along the coast. The federation this year has hired 76 watermen, including captains and mates, to assist with the on-water cleanup. Commercial watermen are able to predict where lost pots may end up based on shifting currents and tides, and this project also creates jobs during a slower time of the year due to colder waters and the multi-week crabbing closure. 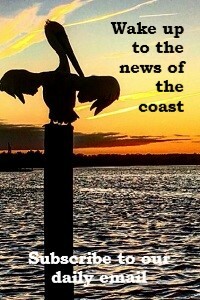 Sara Hallas, coastal education coordinator for the federation and project leader, said she’s excited to clean up the waterways and create opportunities for work during this time of the year. 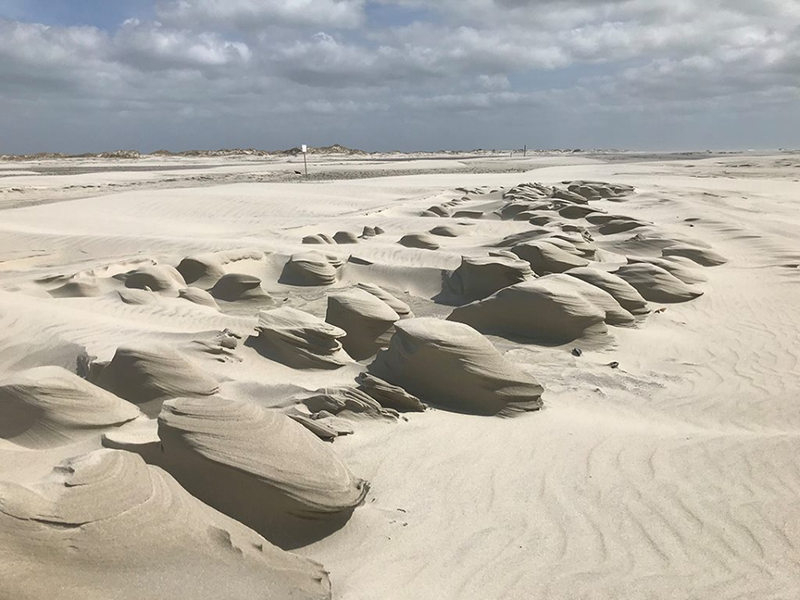 Hallas is managing the cleanup in Marine Patrol District 1, which covers the northern coast from the Virginia state line to Ocracoke. Bree Charron, coastal specialist and project manager in the central coast region, is managing the project for Marine Patrol District 2, which includes the central area from Pungo River, Neuse River, New Bern and Morehead City to Emerald Isle. She echoed Hallas’s comments. Jessica Gray, coastal outreach associate and project manager for the southeast North Carolina Coast region, said she’s excited for this project to enter its second year in Marine Patrol District 3, which covers the southern region of the coast from the southern area of Cape Carteret, the New River, the Cape Fear River and from Wilmington to the South Carolina line. “This will be the second year that this project has included the southeast coastal region, or Marine Patrol District 3,” Gray said. “Without funding from the General Assembly, the wider project scope would not be possible, and we’re thankful that they continue to recognize the value of this project. 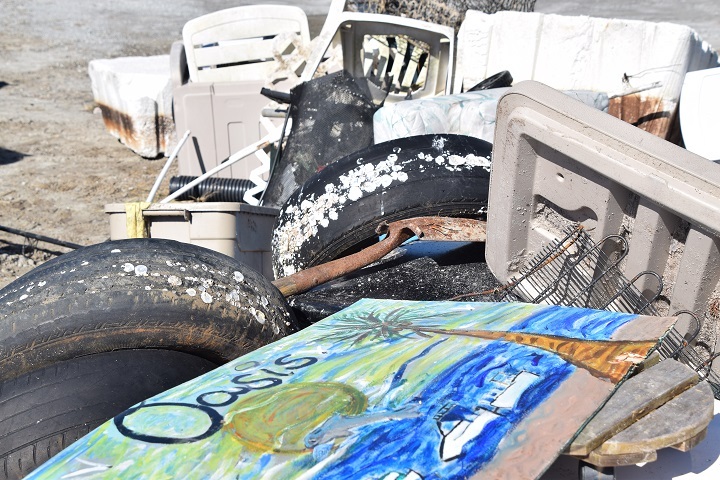 This project is part of the federation’s overall marine debris reduction campaign. 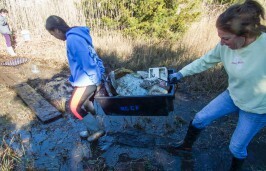 The federation’s Ocean office is kicking off this campaign with a cleanup at Hoop Pole Creek in Atlantic Beach on Jan. 20.